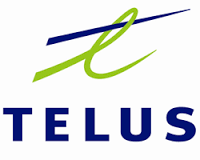 Barclays analyst Phillip Huang maintained a Buy rating on Telus (TU) on November 9 and set a price target of $40. The company’s shares closed on Friday at $34.74. According to TipRanks.com, Huang is a 5-star analyst with an average return of 9.0% and a 72.1% success rate. Huang covers the Technology sector, focusing on stocks such as CGI Group, Open Text, and Descartes. Telus has an analyst consensus of Moderate Buy, with a price target consensus of $40, representing a 15.1% upside. In a report issued on November 9, TD Securities also maintained a Buy rating on the stock. The company has a one-year high of $38.50 and a one-year low of $33.64. Currently, Telus has an average volume of 392.6K. TELUS Corp. operates as a telecommunications company. The comapny specializes in telecommunication services and products primarily for wireless and wireline voice and data. It operates through the Wireless and Wireline segments. The Wireless segment refers to the data and voice products for mobile technologies.